It is well known that smoking and sun exposure can damage skin, but did you realize alcohol consumption and nutrition also play a role in your skin’s health? We all do our best to protect our skin, but inevitably, time takes its toll. That’s why Hoboken & Edgewater Med Spa and 1Aesthetic NYC are dedicated to giving you that extra added advantage in making your skin look and feel its best. 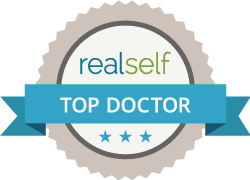 Dr. Khan, a board-certified surgeon that cares about your skin. This is why Dr Taj Khan offers so many treatments to enhance your skin’s natural glow or remove unsightly spots or wrinkles. Dr. Khan’s practice is fully comprehensive in its offerings for every skin type and condition and now offers the DOT Laser Skin Resurfacing that beauty-conscious women have been seeking. DOT Laser Skin Resurfacing is a revolutionary way to reduce the appearance of wrinkles and unwanted skin conditions.